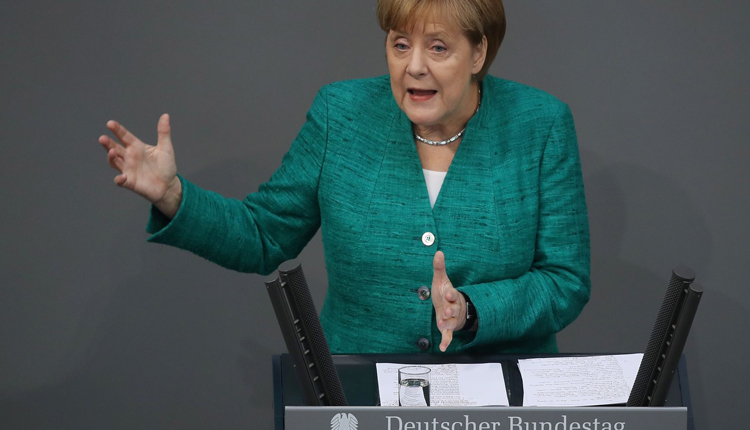 Merkel has vowed to serve her full term in office until the end of the legislative period in 2021, and has said she will run to remain as chairwoman. Her CDU party holds a vote on the chairmanship at a congress in the northern city of Hamburg in early December. Merkel suffered an unexpected blow to her authority last month when her conservatives cast out long-standing ally Volker Kauder as head of the parliamentary party, reflecting rising discontent with her 13-year-old leadership. The upset victory of Ralph Brinkhaus, described as a “political thunderbolt” and “the beginning of the end of the Merkel era” by opposition leaders, was widely taken as a sign that lawmakers want more say in shaping the policies of her fourth and final government. Brinkhaus’ election by the conservative block comprising Merkel’s CDU and their Bavarian Christian Social Union (CSU) sister party – know as the Union – was a clear sign of lawmakers’ frustration with her ruling style. But parliament speaker and former finance minister Wolfgang Schaeuble told mass-selling Bild am Sonntag newspaper that Brinkhaus election could bring some stability to the conservative block rocked by in-fighting over immigration. The CDU and CSU have struggled to maintain a united front on immigration policy and the fate of the scandal-hit chief of the domestic spy agency. In the summer, CSU leader and Interior Minister Horst Seehofer brought the government to the brink of collapse with a threat to turn back migrants at the border with Austria if they had already applied for asylum elsewhere in the European Union. Seehofer, the fiercest critic of Merkel’s decision in 2015 to open Germany’s borders to almost one million, mainly Muslim asylum seekers, told Welt am Sonntag that he backed the chancellor’s bid to be re-elected as CDU chairwoman. “Angela Merkel has announced that she would like to run for the party’s chairmanship. I think it is the right decision,” Seehofer said. Merkel said on Saturday that her conservatives must end their in-fighting to reverse slides in the polls before two regional elections this month. Polls indicate the CSU will lose its absolute majority in the Bavarian parliament in an election in the southern state on Oct. 14, bleeding support to the ecologist Greens and the far-right Alternative for Germany (AfD) party. Support for Merkel’s CDU is also projected to fall, to around 29 percent, in an election in the state of Hesse two weeks later. The party won 10 percentage points more in the election five years ago in Hesse, where it governs with the Greens.